Project Yearling: a BIG, BOLD new release! Our Fifty/Fifty American Whiskey turned one last month! On Saturday August 27th, we released the next in our Oregon Experimental warehouse only series: Project Yearling. 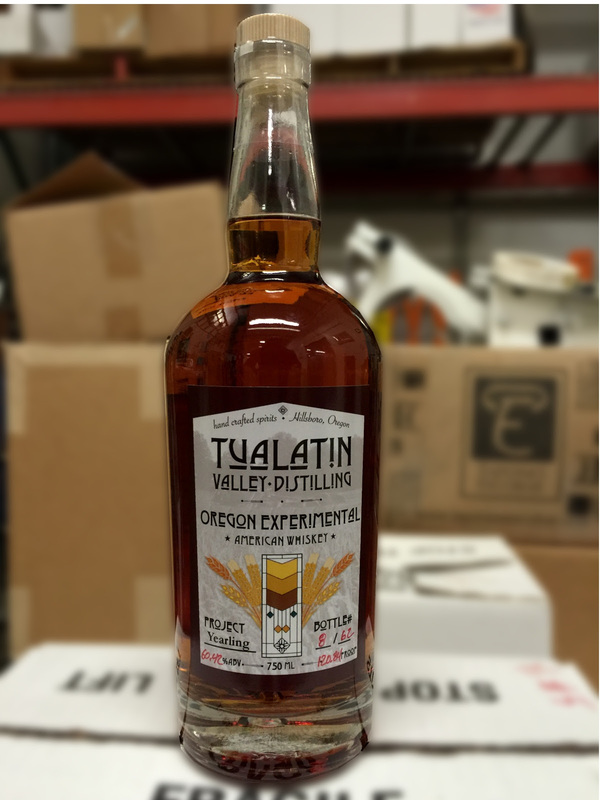 This bottling is our Fifty/Fifty American Whiskey aged for a year and a day. This marks the first whiskey we’ve released that is aged over a year! Rested in a first-use charred American oak barrel, as well as first and second use toasted Hungarian oak barrels, this short run 62 bottle series is bottled at 120.84 proof giving the spirit a distinct bite highlighting the high rye content, balanced with some serious oak, a bit of smoke, and equal sweetness from the malt and toasted oak barrels. Available exclusively in our tasting room Saturdays noon-4pm while supplies last. Limited to two bottles per customer due to the limited run. Locally distilled, aged, hand labeled, and hand numbered, the Oregon Experimental Project: Yearling is available ONLY in our tasting room located in Hillsboro Oregon beginning August 27th. We look forward to seeing you soon; you won’t want to miss this limited bottling! ← Events! Where’s TVD this summer?